Just a 12-minute drive from Vilamoura’s beaches, Hotel Parque das Laranjeiras offers rooms with a balcony featuring scenic views of the surrounding landscape. It offers 2 outdoor pools and a charming garden. 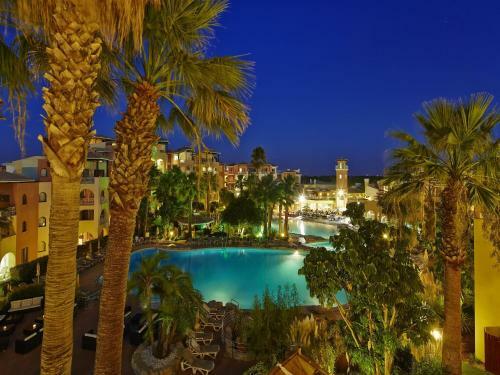 Featuring a lagoon-style outdoor pool and a spa, this Vilamoura resort offers bright and spacious apartments with balconies overlooking the palm garden. Airport transfers to Faro Airport can be arranged.